Our cigarette displays and tobacco fixtures can increase your tobacco sales by up to 15% and pay for themselves in as little as five days. 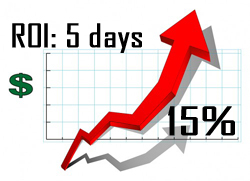 Any investor will tell you that an investment that increases sales by 15%, pays for itself in less than five days and provides a ten-fold return on investment within the first year is a no brainer! It’s a deal a smart business person should not pass up! Our cigarette displays and tobacco fixtures can increase your tobacco sales by up to 15% and pay for themselves in as little as five days providing you a significant BOOST in tobacco profits! Take a step back and look at your point of sale tobacco merchandising from a customer’s perspective. 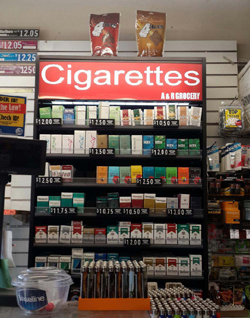 Are your cigarette displays and tobacco fixtures a mish-mosh of unmatched vendor provided units? Is there disorder? Inconsistency? Is it unattractive? Perhaps the reason your tobacco sales are not where you wish is because you need new fixtures from TheCstoreEstore.com that will help BOOST your sales. Reluctant to make an investment into new fixtures? We’ve created a simple way to determine the True Return on your Investment (“ROI”) in our fixtures. This is the cigarette display purchased from us by a customer in Queens, NY. He realized a 15% increase in tobacco sales due to the new fixture. We recently received an email from a customer in Queens, NY thanking us for his new tobacco fixture (shown here). Within one month of receiving the new fixture his tobacco sales have increased by 15%. The purchase price of the fixture (including shipping costs) was $1099.00. If we divide the purchase price by the profit on a pack of cigarettes we can determine how many packs he will need to sell to pay off his fixture. An average pack of cigarettes in New York is $14.50 and the average profit (6%) equals $.87. Therefore, he will need to sell 1263 packs to pay for the cost of the new fixture. The national average of packs sold per day is 226. But since his sales have increased by 15% since the new fixture was installed, let’s figure he sells 259 packs per day (15% higher than the national average). Based on this information he will have sold the 1263 packs needed to pay for the fixture in less than 5 days. That means within four days he will have completely paid for the cost of the fixture! Furthermore, he will realize a 15% increase in sales for another 361 days within the first year of ownership. We’ve already determined that his profit on a pack of cigarettes is $.87. Because of the new fixture he is now selling 33 more packs (15%) per day with a total increase in profit of $28.71 per day. Therefore, after selling enough packs in four days to pay for the cost of the fixture he will realize a Return on Investment of $10,364.31 in the first year of ownership ($.87 x 33 packs x 361 days). That is a ten-fold return on his initial investment of $1099.00! WOW! A Return on Investment of $10,364.31 in the first year of ownership! CONVINCED IT’S TIME TO UPGRADE YOUR TOBACCO FIXTURES? WE CAN HELP! We, at TheCstoreEstore.com, are here to assist retailers by providing the largest selection of tobacco fixtures and cigarette displays, and offering retailers the fixtures and point of sale products that they need to keep cigarette, tobacco and smokeless sales a viable and profitable category. Click here to view and print our ROI worksheet. 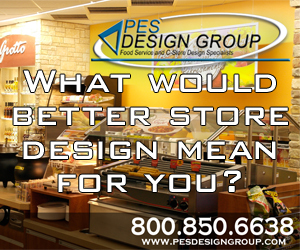 Visit our website to select a new fixture(s) and determine the cost of upgrading. Follow the simple instructions and complete the worksheet using your current sales figures. Once you complete the worksheet you will know exactly how long it will take to pay for the cost of the new fixture and what your estimated Return on Investment will be. Then, visit our website to view a full range of tobacco fixtures and cigarette displays. With the exception of custom units, all pricing is disclosed on our website and online ordering is very simple. Call us and we’ll provide you with immediate pricing for all custom units and be happy to assist you with the ROI worksheet. ← THE CIGARETTE BUSINESS IS CHANGING. ARE YOU KEEPING UP?